Genetec, the company behind unified security platform Security Center, has been confirmed as sponsor of IFSEC International’s brand new “show within a show”, Borders & Infrastructure Expo (20-22 June 2017). Genetec is a good fit for Borders & Infrastructure Expo, which is pitched at those tasked with protecting critical national infrastructure. The company’s security systems are popular in the enterprise space, with many customers in high end retail, train stations, airports – Genetec systems protect 70% of Middle East airports – and the the city surveillance space. Its most prominent platforms are Security Center, which unifies access control, surveillance and ANPR systems; Omnicast™ IP video management system (VMS); SynergisTM IP access control system; and AutoVu™ automatic license plate recognition platform. Cybersecurity is now a major focus. We recently spoke to Simon Cook, sales engineering manager EMEA and APAC, about the company’s defining mantra: the security of security. You can find Genetec on stand F500 at IFSEC 2017 (20-22 June, London ExCeL). Get your free badge now. Speaking at the launch event for Borders & Infrastructure in October, IFSEC brand director Gerry Dunphy outlined the vision for a new “show within a show” which will meet the need for Britain’s – and the World’s – response to the growing terror and security threat. Borders & Infrastructure, which will take place between 20-22 June 2017 as part of IFSEC International and the wider Protection & Management Series, will feature products, solutions and visionary content aimed at central and local government, transport and utilities, sports stadia and events, logistics, border security and law enforcement, and offers a significant addition to the usual array of products and services that you can usually see at what is already Europe’s largest security show. Attended by a wide range of manufacturers and customers including representatives from the Home Office’s Security Industry Engagement Team, last night’s guests heard keynote speaker Sir David Veness CBE, ex-Metropolitan Police and former UN Under-Secretary-General for Safety and Security, preview the findings of a London First report into the potential impact of Brexit on the security and resilience industries. The event also included an address from the BSIA’s Director of People, Trevor Elliott, who welcomed the addition of IFSEC’s new event. 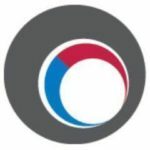 With its own, distinctive branding, can sign up to an exclusive VIP 1-2-1 meetings service – free of charge – which matches them with potential suppliers, partners or customers. The event will serve as a hub for senior decision-makers from key verticals, government and law enforcement to strike major deals in procurement and supply contracts. The new event will feature everything from airport security tech to physical perimeter protection and even drones (the new area will incorporate the Drone Zone, which returns for a second year). 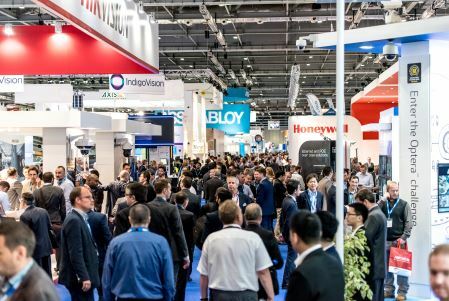 IFSEC International is proud to announce that Borders & Infrastructure has the support of the BSIA, ASIS, BRE Global and the Security Institute. With the rise of the Internet of Things, people, homes and businesses are more connected than ever. 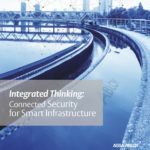 Explore what this means for smart buildings, cities and infrastructure in this free eBook from Abloy UK. Genetec announced as sponsor for Borders & Infrastructure Expo IFSEC International, Europe’s largest security trade show, has announced the launch of a new show dedicated to border security, counter-terror and the protection of critical national infrastructure.